After the big gift giving day, most of people don’t know what to do with leftover Christmas wrapping paper. Besides of throwing away all that pretty wrapping paper or chucking them into the closet, you have other options. There are a lot of craft bloggers have come up with some super creative ideas to help you put all that leftover wrapping paper back to work. From making party confetti, to storage unit, gift tag and cool home decor, you will find a few fun things to make instead of throwing your wrapping paper away. 1. 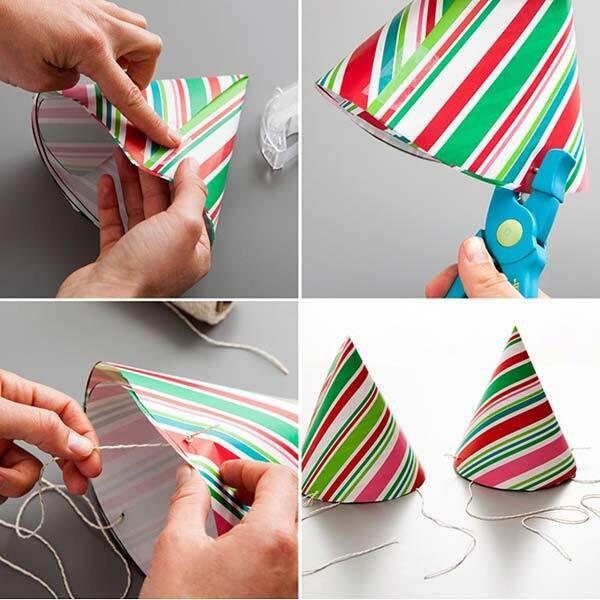 This handmade wrapping paper hat is more than perfect for upcoming new year party.